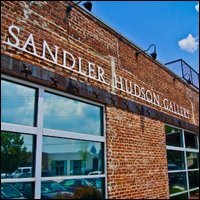 Sandler Hudson Gallery is dedicated to artists of Atlanta and the Southeastern region. The gallery opened in 1989 to show provocative work in all media. Parking: Sandler Hudson Gallery is dedicated to artists of Atlanta and the Southeastern region. The gallery opened in 1989 to show provocative work in all media.